Oh no! Your product has arrived but it isn’t as you expect it. It could be missing letters, damaged ripped or ruined. But don't worry, we want you to be happy. 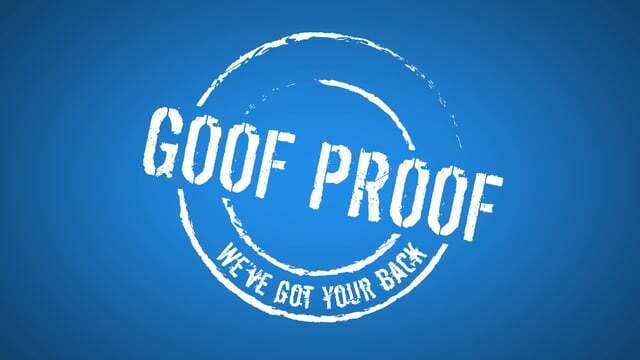 Don't worry if it’s a mistake on our part or on yours, you are covered with our Goof Proof Guarantee. Contact us immediately and we will get you out another copy right away. 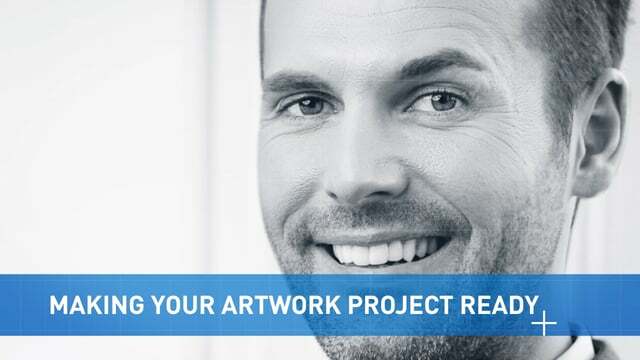 Do you have a project that's really important to you? Is it going to be outdoors? Is it going to be touched a lot? Are you just wanting to make sure it's going to last a little bit longer. The best way to do that is with protection plus. 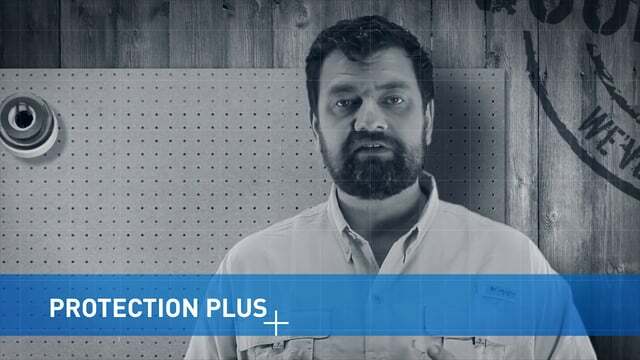 Protection plus is a laminate that goes over the top of your lettering to ensure that the UV rays won't harm it. It also adds some abrasion resistance so it won't be as easy to scratch. So if you're looking to get extra life our of your vinyl, then protection plus is right for you. Customers ask all the time, ‘can I order my vinyl in any size I want?’ The short answer is: Yes. 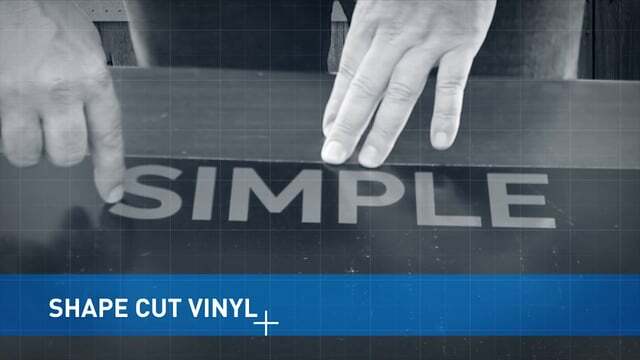 We have many different production methods that can produce vinyl to be any size you want. It may however require different forms of installation, the bigger you choose to go. There may be seams or overlapping for instance, but our technicians at customer service can help you with that. Another thing to look out for is the graphic or lettering being too small. This can create production problems when we go to print your design. We do have solutions however, such as printing the decal on transparent, or applying a contour cut. So to reaffirm, you can order any size you can imagine, however there may be special considerations when ordering for the very small or very large. Do Proofs Look The Same On My Monitor? That’s a tough question to answer. In the majority of the ways: yes. In terms of content, the design and look of the design it certainly will. However, it’s important to understand your Computer Monitor and someone else’s computer monitor will produce slightly different colors even for the same images. So while we do our best to ensure what you’re seeing is representative of what you’ll get. 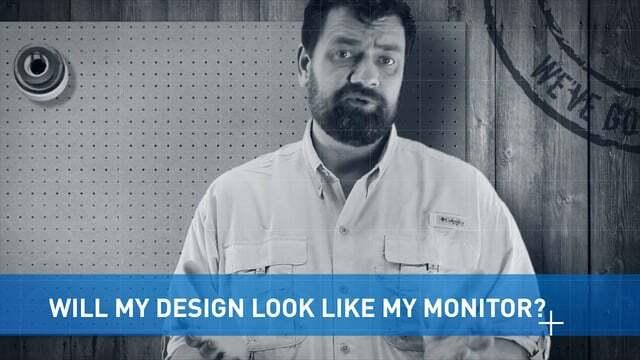 We can’t ensure our monitor settings will match yours. However, if you are dealing with something that is very color sensitive- you should let us know. We can send you examples of our colors or even work to closely color match a color you provide us with. 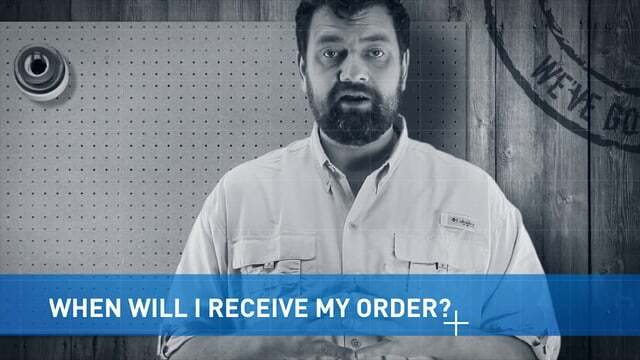 Once you place your order, your order will ship next day- as long as you’ve placed your order by 3pm eastern standard time. How long it takes to ship to you, depends on where you are in the country and what shipping method you have selected. 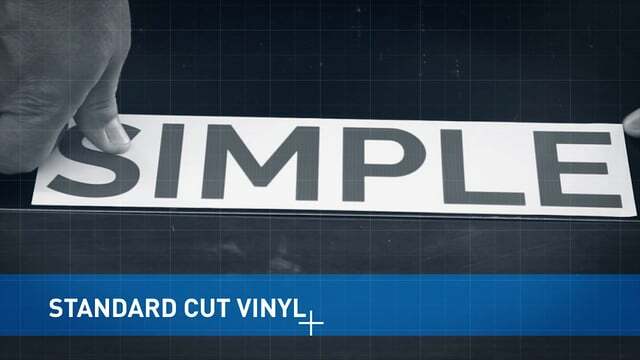 Shape cut simply means we cut directly around your text or image. Cutting to the exact shape of your design. This is often the most popular option, but also the most expensive as it requires more work for us to remove the unnecessary vinyl in your design. It is also a little more difficult for you to install because it is not one solid decal but several parts that together equal a whole image or word. Standard cut is the best solution in many areas. It is one solid decal cut to a standard shape. These shapes are Triangles, Squares, Rectangles, Circles, and ovals. Basically we take your image and / or text and place it into one of these shapes. We simply cut the decal to that shape leaving the background behind your image and text. This background makes your decal stand out more. It also is much easier to install than individual letters. A contour cut takes a into account the general shape of the text or image and cuts a thick outline around the design. This is not to be confused with a stroke effect. Contour cut applies around the whole image or text as one solid piece, often making it easier to apply. This Contour background also makes our decal more visible in most cases. Or if you do not want it visible at all you can order a clear contour so the decal is completely transparent. Contour cut is usually less expensive due to being easier for us to produce. 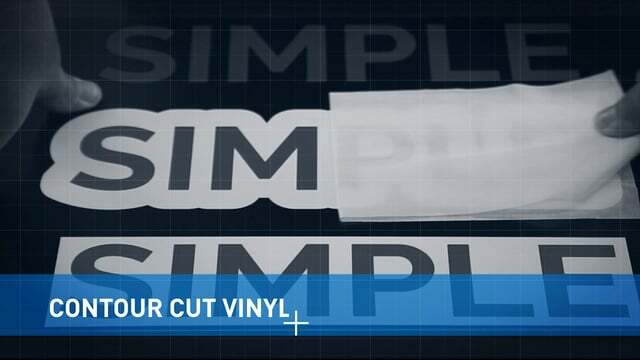 A reverse cut decal is exactly what it sounds like. It is a decal that is cut in reverse. Typically you will find this form of application on glass or other clear surfaces. Alternatively, reverse cut is useful on some emergency vehicles such as ambulances where the letters will be seen from reflecting mirrors. 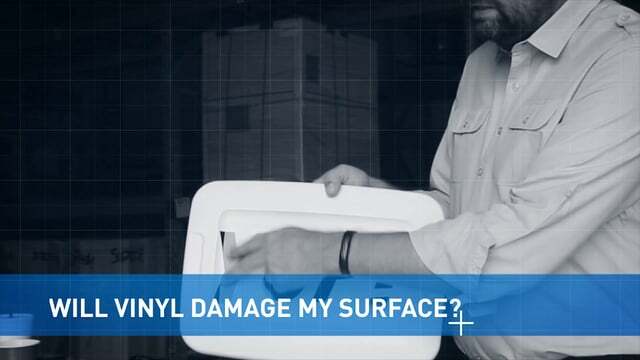 Will Vinyl Damage My Surface? Yes and No. The vinyl will actually protect your surface by covering it from exterior elements. Over time, the remainder of your uncovered surface may fade, crack or become discolored. If you choose to remove your vinyl for whatever reason you may notice the covered surface has remained preserved, unlike your exposed surface. This causes what we call ‘ghosting’ as a off color outline of your decal or lettering remains on the surface. Unfortunately, there is no good way to solve this problem once the damage has been done. If possible, we suggest covering the old decal with a new decal or something of similar shape and size. 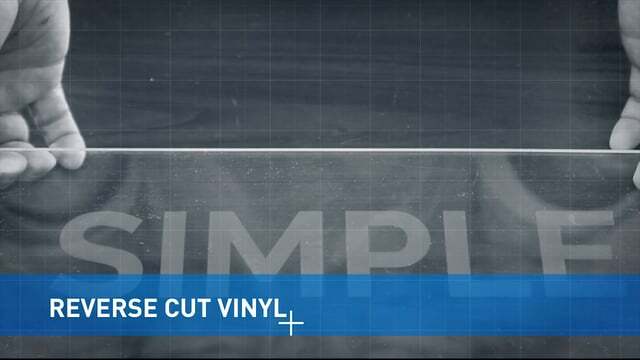 What Surfaces Are Best For Vinyl? When choosing a surface to apply vinyl on, it’s important to keep in mind the texture, shape and sheen of the intended surface. As a rule of thumb, Standard Calendared Vinyl or Premium Cast Vinyl will generally stick to anything that is smooth and glossy. You should generally avoid dull flat surfaces as your vinyl will not adhere correctly over a long lifetime. When applying to non-glossy uneven surfaces, there are specialty vinyl solutions for nearly all surfaces and you should contact our sales staff for further solutions. For instance, you may be interested in applying vinyl on carpet, floor tiles, cement, wood flooring or other non-standard surfaces. Luckily, there are solutions that specialize for each of these surfaces. 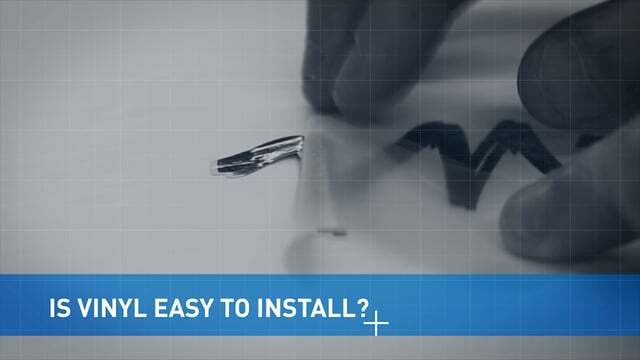 How Easy Is Vinyl To Install? The answer is not as simple as yes and no. 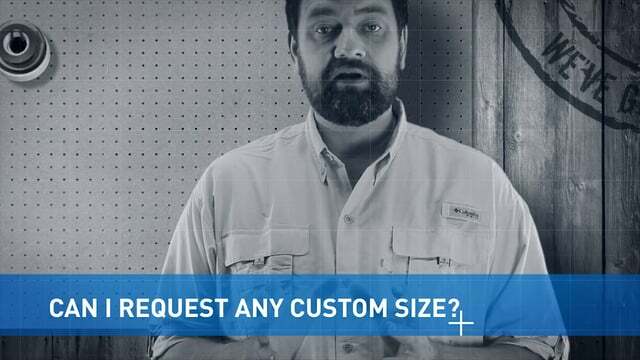 Some vinyl grades may be easier than others, but ultimately much of this will depend on your surface, how big your design is and how well you prepare. One of the biggest of these challenges will be the condition of your intended surface. For instance, if you have a smooth shiny surface your vinyl will be naturally attracted and stick very well. However, if you’re a novice this too may become challenging as the Vinyl will quickly adhere to your smooth surface. This can be fixed however using a generous amount of Application Fluid. Alternatively, if you’re applying vinyl to a matte or uneven surface you should be careful of how much Application Fluid you apply. The vinyl will resist sticking to such a surface and Application Fluid may make it harder to apply your design. There are instances you may find no clear solution for, such as glass surfaces. Glass is often very shiny and smooth which will attract your vinyl to adhere immediately. However, using too much application fluid will leave your design unable to properly apply for an extended period of time. 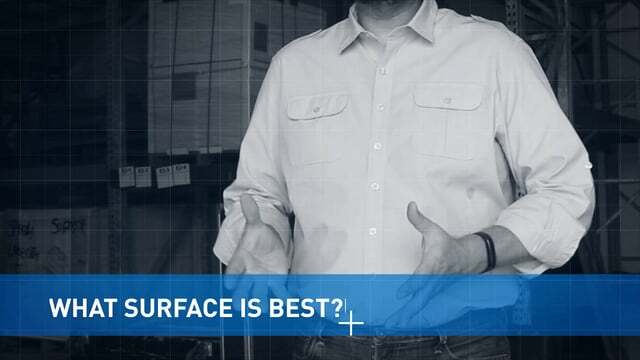 If you have questions about your surface, we always have a knowledgeable staff that can answer any of your questions. Your other concern should be the shape of the surface you intend to apply your vinyl too. If you choose to apply your vinyl to curved surface such as a door, or wavy surface, you should take extra care to ensure your vinyl is adhered at all points. 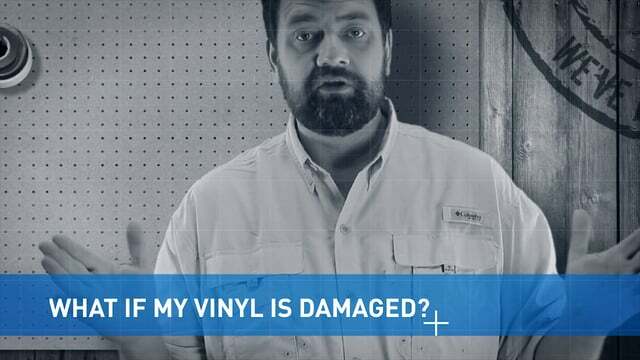 Leaving room for air, dust or grime to enter the underside of your vinyl will cause a weakness over the entirety of your vinyl and over time can cause tearing or unfavorable outcomes.